Like many of us out there, shopping is one of my favorite things to do. Not only do I get a chance to peruse stores for interesting products, but now and then I come across a display that makes me stop and think. 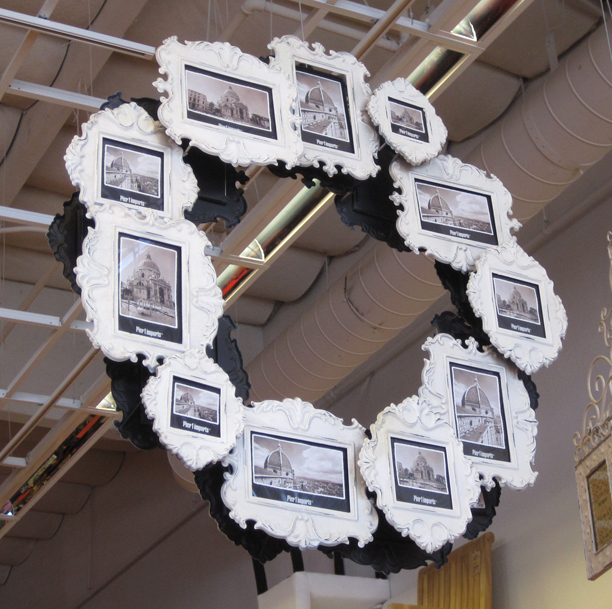 For instance, at Pier One, this wreath made of frames really stood out. What a great way to showcase family photos or pictures from your travels. 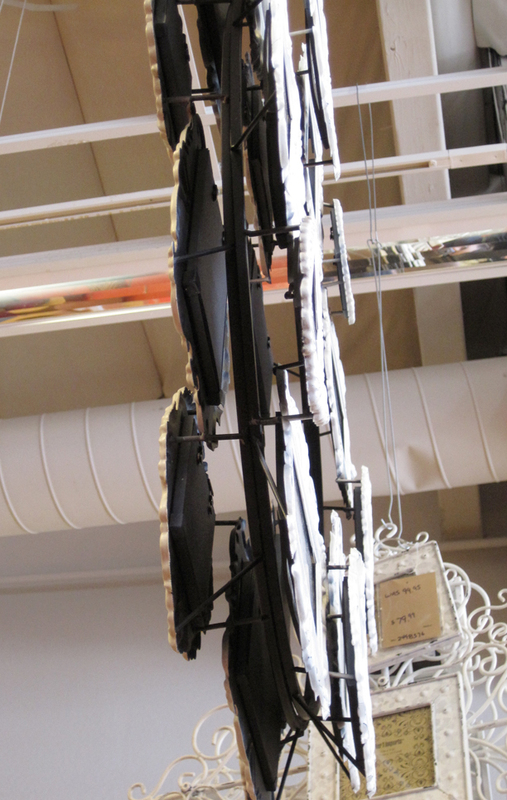 Also, it looks like you could make this on your own if you get a little creative with the support structure. 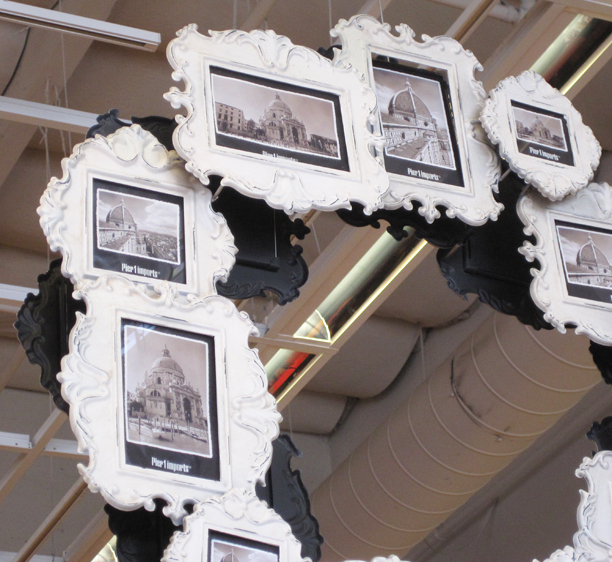 Instead of buying frames from a store you could try getting used frames from a thrift store and spray painting them. That way the project would not only be cost effective, but have a more eclectic feel.